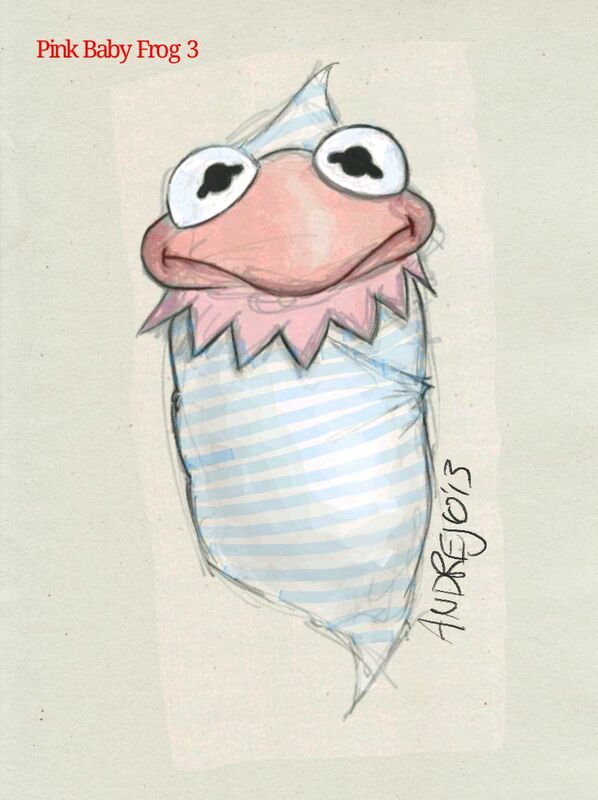 Puppet Heap has been contracted to maintain, rebuild, manage, and create new assets for The Muppets Studio since 2006. During that time we have supported The Muppets in two feature films, one made-for-TV movie, several television commercials, dozens of viral videos and countless televised appearances. Our services include everything from logistical support, design, fabrication, props, costuming, to on location production. 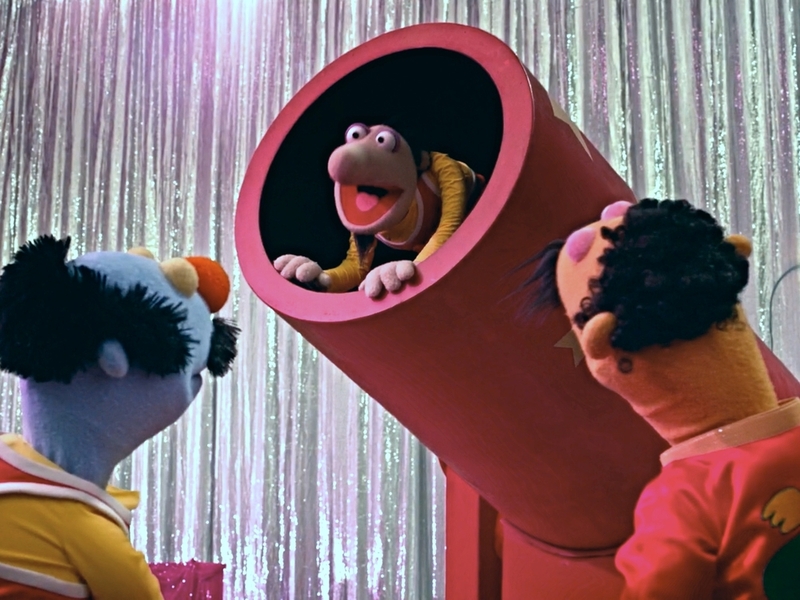 Many artists and leaders in our team have been working with the Muppets for decades. We're very proud to play a continuing part in the legacy of this enduring brand. Denise, the new love interest for Kermit in the fall season: designed by Paul Andrejco. Chip rejoins The Muppets in the show. Debbie, a custom puppet built by Puppet Heap, shows up for a cameo in Episode 3 for a date with Liam Hemsworth. 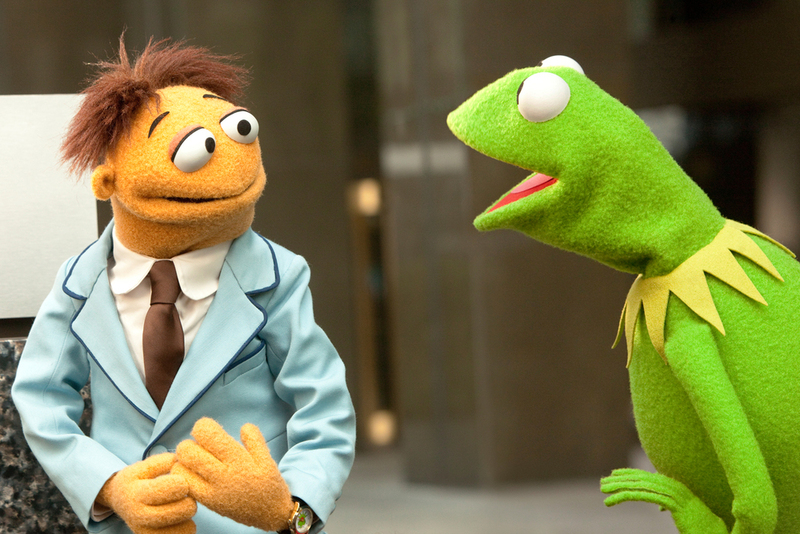 Constantine, the villain and near Kermit clone from Muppets Most Wanted. 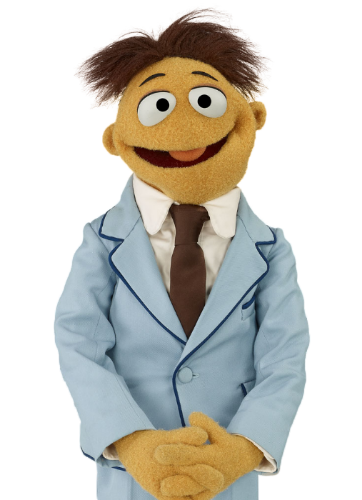 Walter, new character designed and built for The Muppets movie. 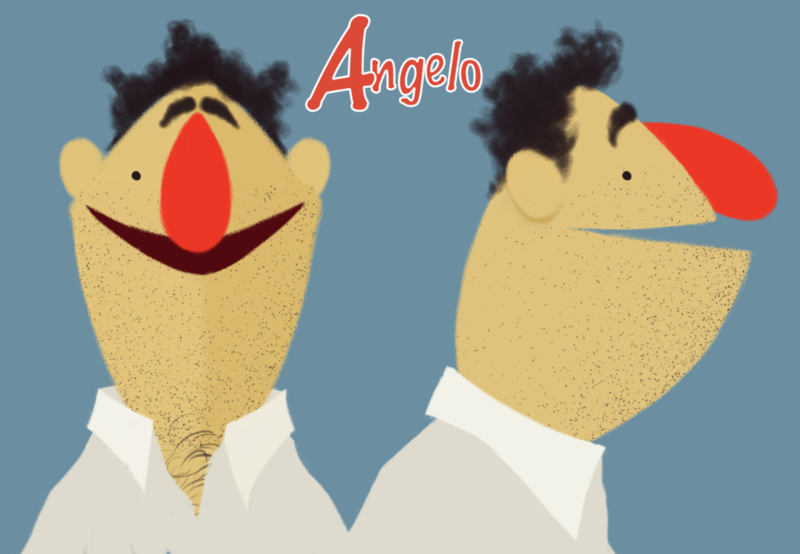 Angelo, an Italian chef as counter point to Chef Cat Cora, design by Paul Andrejco. 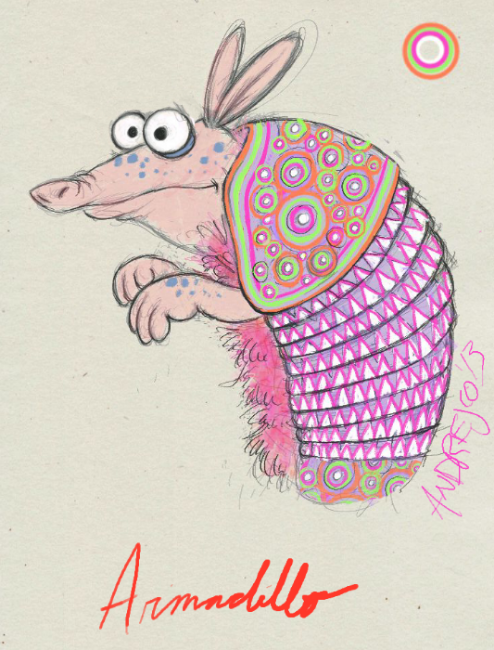 Armadillo design by Paul Andrejco and puppet by Michael Bush for Constantine's song in Muppets Most Wanted. Beak-E articulated prop by Duncan Gillis for movie parody poster used in The Walt Disney theme parks. 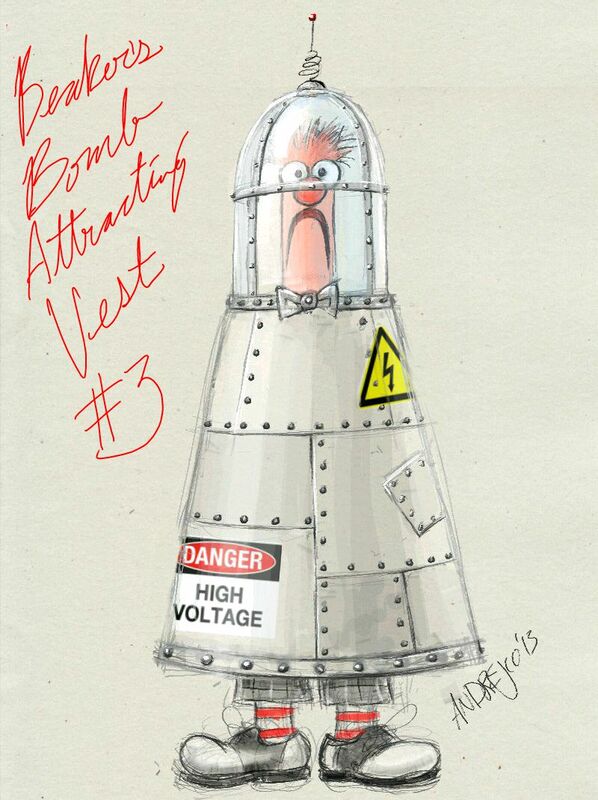 Beaker's Bomb Attracting Vest: design by Paul Andrejco; finished prop for Muppets Most Wanted. 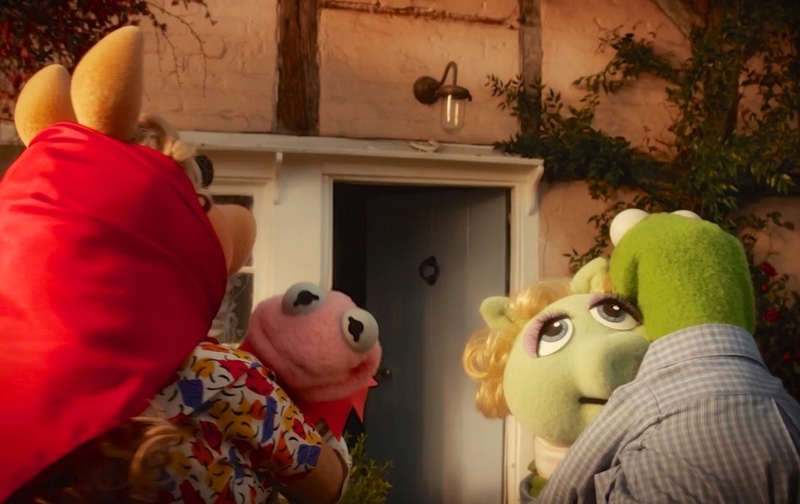 Piggy and Kermit babies: designed by Paul Andrejco; built for Muppets Most Wanted. 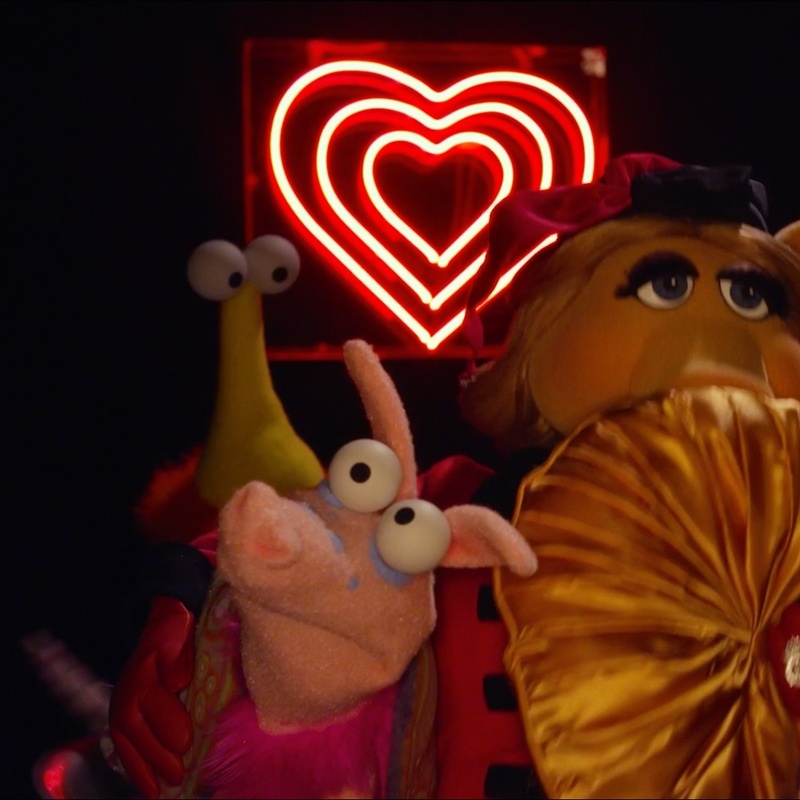 Gonzo and Salma Hayek dressed for an Indoor Running with the Bulls, Muppets Most Wanted. Gonzo's costume & cape built by Lisa Howard Tobin. 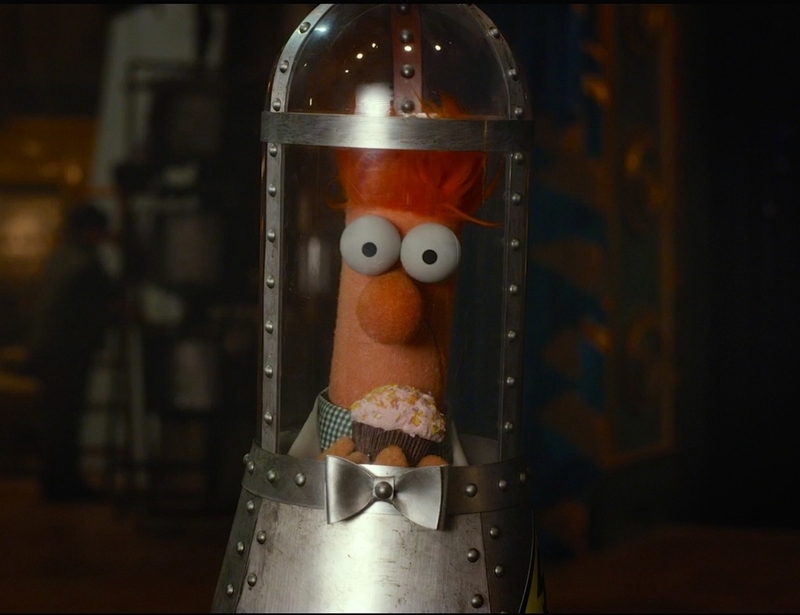 Costumes for desert scene in Muppets Most Wanted. 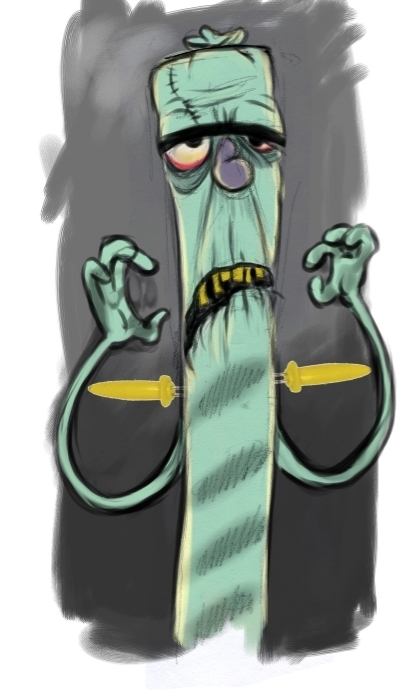 New versions of The Flying Zucchini Brothers designed by Lauren Attinello. 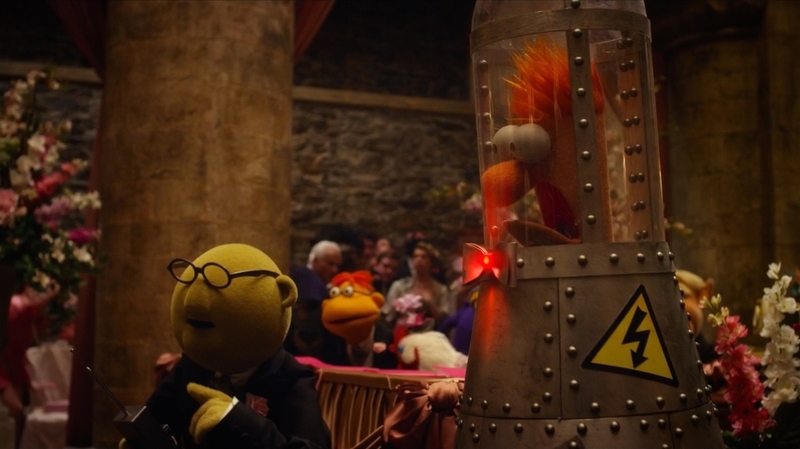 Costumes for Muppets Most Wanted. Banana costume for Fozzie Bear: designed by Lauren Attinello, built by Peter MacKennan. Frankenfurterstein from The Muppets Kitchen with Cat Cora web series.